Searching for a feel-good story about three businesswomen in a small town trying to help it regain its heart? 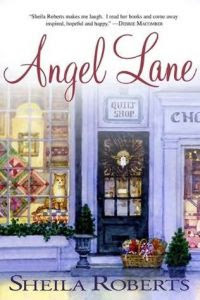 "Angel Lane" is just the ticket. Sarah, a baker, is a grandmother sorely missing her grandchildren who have just moved away. Emma is struggling to keep her new quilt shop open. She dreams of a life out of the movies, but reality has her living alone with a stray cat who doesn't like her. Jamie, who runs a very successful chocolate business, is divorced from an abusive cop. She is working hard at starting over, but is extremely reluctant to open her heart to an attractive cop and his two young daughters. These three women decide to start a "good-deed" campaign encouraging other in their community to perform random acts of kindness. The story tells of many of these deeds and their outcomes (which are not always positive!). It also tells of their relationships with each other and others in their world and how they develop. This story features three of my favorite things - baked goods, chocolate, and quilting. Even if it lacked all three, it still would have been a great read. It is light reading with a positive message. It pulled on my heart and made me both cry and laugh. I recommend it highly! While this isn't technically part of the book review, this next line was my favorite part of the book. There is a point in the story when Emma is truly on the verge of losing her business. "I'm a failure," Emma sobbed. "No you're not," Sarah said fiercely. "Failures don't even try. You try harder than anyone I know." That was something I really needed to hear. I was reading the September/October 2009 issue of Home School Enrichment Magazine (I had picked it up at the library). The letter from the editors was titled "The Power of the Small Things." The article compared parenting to building a building with bricks. A bricklayer does much tedious work - one brick at a time. Progress can be very slow. It may seem like very unimportant work. Your job is like that bricklayer's. But instead of a beautiful building, you're seeking to raise up godly children. Every day you go forth to lay a few more bricks. A kind word, a home-cooked meal, patience during long division - small, ordinary tasks. Another trowel of mortar, another brick. Today, tomorrow, the next day. . . . The extraordinary power of small things is that they begin to add up - slowly, perhaps, but steadily - until the accumulation of all these small things results in something magnificent. . . .One day you'll be able to step back and admire the beauty of what stands before you. Something to think about on days when the parenting journey seems long and unrewarding. It’s that time of year again – when the calendar compels us to look back over the preceding year and make plans for the new one. Those reflections and resolutions can encompass many parts of life. Relationships, health, and career goals are popular targets for review. One area that might be neglected is one’s life of prayer. I know that throughout my life, I have brought many concerns to God in prayer. Some of these have been for very minor issues. Others have literally brought me to my knees with tears of desperation mixing in with the plea. There have been times when the pain has been so intense, I haven’t even been able to form the words and the prayers came entirely as an aching soul reaching out for God. Sometimes, it is hard to see God answering the prayers. Especially in the midst of a crisis, it can be difficult to sense God’s presence, to trust that He has a plan. There have been times when I clearly prayed for the outcome I wanted. There have been times that things worked out just the way I had hoped. I have even experienced a couple outcomes I would regard as miraculous. There have been other times when the answer was “wait;” then, there are the times that God most definitely took life in a radically different direction. Each time, the prayers helped me to accept the outcome (admittedly kicking and screaming on occasion.) With age and wisdom, I have become better at praying that God’s will be done, regardless of my personal opinion. It’s not always easy, however, and there are still times when I let God know exactly what I think should happen. As with everything else, I am a work in progress in that area. I offer many prayers for other people as well. These may be people who I have heard are sick or who I know are facing difficulty. They may be people I know well, or a stranger someone has asked me to offer prayers for. In either case, I am happy to offer the prayers, to be of service in some way to a person in need. There have been many cases when I have continued praying for a situation long after the issue has been resolved simply because I wasn’t aware of the resolution. People often ask you to pray – you frequently aren’t told that you can stop praying! No matter – in the eternal scheme of things, the prayers still count and still offer help. If the end of this year finds you feeling discouraged about how God is answering (or seemingly ignoring) your prayers, a prayer journal may be just what you need for the coming year. Keep track of your prayers and their answers. It may make it that much easier to trace God’s movement in your life when another year is drawing to a close. 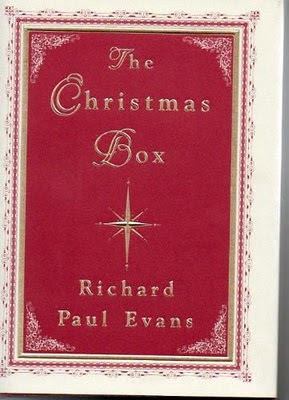 A Christmas Classic: "The Christmas Box"
by Richard Paul Evans. Written in 1995 and made into a movie starring Richard Thomas, I love both the book and the cinematic version. Originally written as a Christmas gift for his children, Evans wrote a timeless story about a busy business man who is neglecting what is important in his life. When he and his family move in with an older woman to help take care of her house and provide companionship, she helps to open his eyes to what he has been missing. The message is one we all need to hear from time to time. 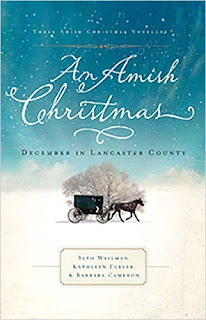 As I read through the copy I had picked up at the library, someone had underlined one line, and only one line in the book: "The first gift of Christmas was love. A parent's love. Pure as the first snows of Christmas. For God so loved His children that He sent His son, that we might someday return to Him." Asking for prayers for two families I know who are hurting this Christmas. One is for my friend whose father is very ill and recently rushed to a Boston hospital. Another is a young woman (age 31) recently diagnosed with a severe case of leukemia. Her parents are especially in need of prayers. This was forwarded to me today. Joseph's story tells us that we should guard against being too attached to our plans. Sometimes, even good and noble goals such as marriage, a chosen career, or community service may have to be put aside if God moves us in a different direction. Of course we should always "test everything" and "retain what is good" (1 Thessalonians 5:21). A trusted spiritual advisor, a confessor, or a close friend are indispensible in this process. But in the end, it always comes down to our own humility and openness to God's infinite possibilities. This guest post by Dionna Sanchez really resonated with me. I was discouraged one day. I mean, we’ve all been discouraged right? On this particular day, I was discouraged about a certain dream of mine – a dream that just wasn’t coming to fruition for me and I’m not sure why. What I AM sure of, is that I was frustrated, feeling “down” on myself and my abilities, and just plain feeling like a loser. I have never questioned God. But I have asked him “Why” on many times and this was one of those occasions. I felt like God was being silent with me and that hurt. I talked to Him and I cried out to Him. I told Him I would not lose heart even though at that moment, I felt like I had. It wasn’t until a few hours after my conversation with God that He prompted my heart about something. “What if this is it?” What if my dream never happened? What if I never was “great” in my own mind – only “good?” How would I handle that? Would it be good enough for me or would I never be satisfied in my life… never content? Those are very loaded questions, to which I’m not sure I have the perfect answers to. I don’t know where you are in life or if you are struggling with wanting more for yourself. If you are anything like me, I’m sure you have many dreams and wishes unfulfilled in your life. I think dreams are great. But for the first time in my life, I think sometimes they can also be harmful if they cause us to feel uncontented with where God currently has us in life. Because what if that is “it?” What if that is THE destination where He wants us? Can you handle that? Can I? It’s up to each one of us to look within our hearts and search for peace and acceptance. We can be “great” no matter where we are. It’s all a matter of attitude and choice. It doesn’t mean you have to give up on your dreams, merely be “content in all things.” That way if the ultimate prize that you have in your head DOES happen…..the blessing will only be felt deeper – for you – and – for me. ~ Dionna Sanchez is the Founder of EmphasisOnMoms.com. She desires to share her heart with women through her website and blog as long as God calls her to it. for all those who seek refuge in your protection. that we may reflect unending love to others. and to give us strength and courage in the Lord. remain in harmony through forgiveness and understanding. Intercede for us with your maternal spirit. Bless us with your unconditional love. 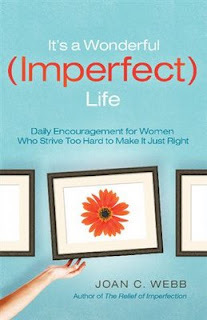 Debbie Macomber is well-known for her best-selling fiction. 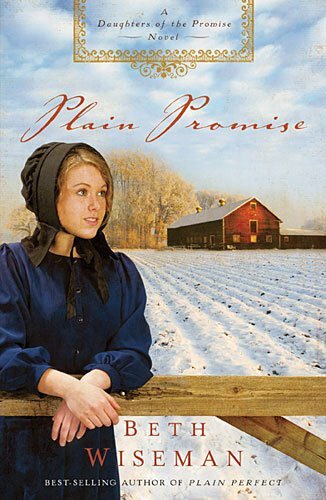 However, in "One Simple Act," she has written a beautiful non-fiction offering with an important message. 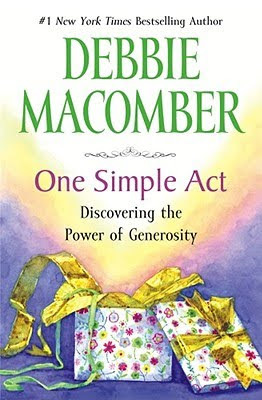 As she states, Macomber's goal in writing this "is to surprise you with the multiple benefits that come from small and large acts of generosity. . . intentional acts of generosity can open our lives to the very best that God has to offer." She offers powerful anecdotal evidence and Biblical quotes to support her thesis. listening, offering hospitality, sending cards and letters, caregiving, giving of our time, praying for others, and sharing our faith. She offers concrete suggestions and offers much encouragement. None of these ideas are radically new, but we can all use the reminder. We all have so much to give! "One Simple Act" is a wonderful book. The world would be such a better place if we all followed Macomber's advice. Lord Jesus, your power is infinite, your glory, everlasting. Quietly you come, as a tiny baby. Ready my heart for the miracle of your birth. Bring light to this dark world, waiting silently for your warmth in the coldness of the night. Waiting is itself your gift, animating my heart with anticipation. Bless me with needed patience and faithful discipline to prayerfully prepare to welcome and greet you. St. Jude, eternal hope, let your holiness flow into me. 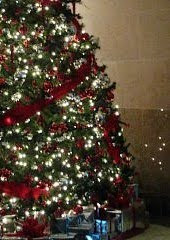 May Christmas joy and burning love take root in me and grow until they bloom on Christmas Day, to carry joy to the world and inspire hope to renew the face of the earth. Amen. Kids can come up with stumpers of questions, especially about faith. Just tonight, David was telling me how there is so much he doesn't understand about death and heaven. I told him no one does. That is one of those things that we just need to wait and find out about when we die. Yet, Mark Shea has written a very good article providing some good answers to those very tough questions. The answers aren't just for kids, either. You just mind find your own faith bolstered a bit by them! I came to own this book a bit differently than most of the books that find their way to my reading pile. A while back, I received a request in my email inbox asking if I would be willing to give this book permission to use a photo and quote from my blog. I honestly had no clue what the whole thing was about. I agreed and signed a release form. I heard from them a couple more times - the last email saying my photo and quote hadn't made the cut but they would still send me a book for being willing to participate! Well, OK, I very rarely turn down a free book! "We Feel Fine" is a collection of quotes and photos from blogs from all over the English world. All of these quotes were garnered from sentences that began "I feel." 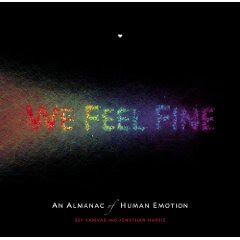 As the writers state, "Drawing from a database of more than 12 million human feelings collected over 3 years from personal blogs on the Internet, 'We Feel Fine' presents a comprehensive contemporary portrait of the world's emotional landscape, exploring the ups and downs of everyday life in all its color, chaos, and candor." The book is arranged as a coffee table book. One can simply pick it up, open to a page and view the photos and quotes. The authors have created different sections based on gender, specific emotions, locations, weather and topics. For those interested in more detail, the authors have provided statistical analysis of the data they have mined as well as the computer code that they used to obtain the data. I really enjoyed the time I spent flipping through and reading this book. I didn't know what to expect and it was a pleasant surprise. I especially liked this "life sentence" that they included toward the end of the book, summing up "major emotional themes as we age. ": "We start simple (11-14), but soon fill up with angst (15-18) and feelings of confinement (19-22), until we leave those behind to go conquer the world (23-26), before gradually trading ambition for balance (27-30), developing an appreciation for our bodies (31-35) and our children (31-35), and evolving a sense of connectedness (36-40), for which we feel grateful (36-40), then happy (41-49), calm (41-49), and finally blessed (50+)." Christmas is right around the corner. While time is flying by too quickly as far as I am concerned, it is dragging painfully slowly for my children. My boys (ages 8 1/2 and 7) are literally bursting with excitement. Each day is one day closer to, as they put it, "The best day of the whole year." This is the first year we have put some of their presents under the tree early, trusting them not to open them. This doesn't mean that they can't shake, examine, and carry them around! They have been having great fun doing this. There is all that magic and fun waiting inside those boxes and they just can't quite get to it. The anticipation and dreaming of what might be inside is almost as good as the opening itself. I can only hope that the presents inside live up to their expectations! The best present I ever got as a child was a dollhouse. I loved dolls and dollhouses and had been begging my parents to get me one. The Christmas I was seven, there was a huge box under the tree. I just knew that was my dollhouse. I couldn't wait to open it! We always had the tradition of opening one present Christmas Eve after we went to Mass. I knew which one I wanted to open. My parents refused, however, telling me to open a smaller one. I had to wait one more day to get the present I wanted more than anything. When I finally did get to open it, I was so happy. It was a kit, and my father lovingly spent the next few weeks putting it together for me. I got years of enjoyment out of that dollhouse. Even now, it still sits in my old room at my parents' house. It is old and dilapidated and hasn't been played with in years, but it still brings a smile to my face. For me, that dollhouse represents the joy in my childhood. I know Christmas isn't about the presents (although I do desperately need the new wallet I asked my husband to get me!). My children know this, too. Their excitement about them, however, started me thinking about the greatest gift of Christmas - the gift of Jesus and the promise of eternal life. Heaven is the best present ever. Right now, we are in that state of anticipation. We can shake the box, and on our best, happiest, days perhaps get a glimpse of what heaven might be like. Unlike Christmas presents that come in a box, however, which often don't live up to the expectations, Heaven will exceed all our imaginings. Our anticipation will be rewarded. It will be better than the best Christmas present we ever received. It is time to get excited! Christmas (and it's promise of salvation and eternal life) is coming! Robert Stackpole, STD has done an incredible job of tracing the "theological history" of Divine Mercy in "Divine Mercy: A Guide from Genesis to Benedict XVI." In his introduction, Stackpole asks a very important question. "Why has the message of Divine Mercy been revealed over time? If the message is so important, why didn't God reveal the whole thing to human beings right from the start?" Due to sin, humanity couldn't take it all in at once. "As century followed century, God progressively revealed Himself more and more." Stackpole explores that revelation through the words of the Old and New Testament, the lives of various saints, and the words of our current Pope and his immediate predecessor. Stackpole defines Divine Mercy as "God's Love reaching down to meet the needs and overcome the miseries of His creatures." From the days of Adam and Eve, God has shown his mercy to his people. Even in the midst of God's punishments, there is always an element of mercy. Cain kills Abel, yet he goes forth with God's protection. In the midst of the flood, Noah and his family are saved. God did not abandon the Chosen People in the desert. The ones who were unfaithful would not get to enter the promised land, but their children still would. Even in chastisement, His mercy serves to encourage a "return to faithfulness to the convenant He had graciously made with them and so that they might enjoy all its blessings." God's discipline and his mercy are always for the greatest good. The New Testament offers the ultimate act of God's mercy - His sending His son to save us. "If the Son of God Himself is overflowing with merciful love, it is no wonder that the New Testament encourages everyone to place all their trust in Him and in His heavenly Father." Also, God is not just waiting for us to turn back. Like the Good Shepherd, he seeks out the lost sheep. He searches us out and welcomes us back. Several saints have also added to the message of Divine Mercy. Stackpole explores the teachings of Augustine, Thomas Aquinas, Catherine of Siena, Francis of Assisi, and Maria Faustina Kowalska among others. The work of each builds on and complements the others as God has chosen to reveal different elements of His mercy to each one, and through them, to us. Lastly, Stackpole focuses on Pope John Paul II, the Mercy Pope, and our current pontiff, Pope Benedict XVI. "Divine Mercy: A Guide from Genesis to Benedict XVI" is a must-read for anyone interested in how God has revealed his mercy through the ages. "Divine Mercy is the center of the Gospel message, manifested through the Sacraments and works of mercy done by the Church. It is the only source of true peace for every human heart and every human community." 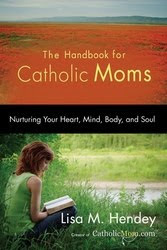 This review was written as part of the Catholic book Reviewer program from The Catholic Company. Visit The Catholic Company to find more information on Divine Mercy - A Guide from Genesis to Benedict XVI. My younger son Isaac made his first confession this evening. He was so nervous baforehand - so scared the priest would yell at him, that he would screw up, that it would somehow go horribly wrong. Thankfully, all went well. He bravely got in line at our parish's Advent Penance Service and walked determinedly to the priest who promised he would go easy on him. He came back and said his penance and was done and relieved to be so. Confession is hard. I remember being nervous at my own 1st confession a long time ago. I also remember the sense of relief that came after - the feeling that all was right with the world and my soul was clean. I still get nervous going to confession. I'm embarrassed to admit that the longest I went without going to confession was 4 years. It was hard to go back. I started going back a couple times a year. Now I try to go every month or every other month. It is easier to go more often - you don't get out of the habit that way or get overwhelmed with all you have to say. Yet, I still get nervous. I stand in line waiting to go and still stress about it. I try to come up with compelling reasons why I should get out of line. Yet, I stay. I face the reality of my own sin and ask for forgiveness. It's humbling and unpleasant, but I always feel better after. I don't always have the feeling of being totally wiped clean anymore, but I do always feel a sense of relief. There is something wonderful in being told you are absolved of your sin. I'm so glad that we Catholics have the gift of confession. 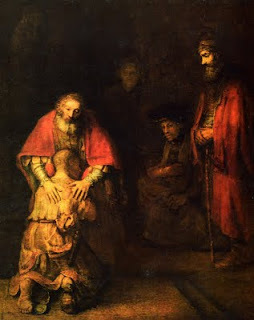 The painting in this post is "The Prodigal Son" by Rembrandt. Our pastoral minister referred to it in her reflection this evening. It is a beautiful portrait of forgiveness. God is waiting for all of us with open arms. He is always ready to forgive and welcome us home. Perhaps if you have been away from confession for a while, this Advent could be the perfect time to go back. God is waiting for you. This is a guest post from Christine Hebert. She has put eloquently into words how many of us feel about those who touch our lives, for a season or a lifetime. I belong to a Catholic homeschool group. On Mondays, we have co-op classes, and I am the hall monitor. As parents came and went while bringing their children in, or came in to teach a class for the morning, I realized our group is very much like a tapestry. Each family represents a different color and may be present for a large section of the tapestry, but sometimes, the color is missing for a time to be worked back in later. I was reflecting on how the changes in each of our lives dictate our presence of absence from the group. The birth of a new baby changes the mobility of the mom and dad. An ailing parent or grandparent who requires extra time and attention keeps us closer to home. Children grow beyond home and go to college. Each change in our lives weaves a pattern. Each thread is interwoven with the presence of support when needed. Some parts of our tapestry may seem threadbare. Those times when we feel alone, however, may actually be when our tapestry, as we look back on it, is richest. The stronger threads that surround it support our tattered thread. I am blessed to have my tapestry made more beautiful by the addition of new colors that twine with mine and create new patterns. It enriches my experience and adds dimension to our lives that might not otherwise have been there. 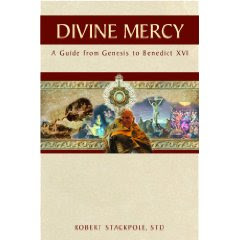 I have been blessed this week to read Divine Mercy: A Guide from Genesis to Benedict XVI by Robert Stackpole, STD. Stackpole has done an admirable job of tracing the “theological history” of Divine Mercy through scripture and personal revelations to individuals throughout the centuries. As one might expect, he explores the writings of St. Maria Faustina Kowalska, a Polish mystic to whom Jesus revealed the image of Divine Mercy and many teachings on the subject. It is through her visions and the efforts of her confessor that has led to much of the present-day devotion to Divine Mercy. To his credit, Stackpole also introduces his readers to a lesser known voice of Divine Mercy. 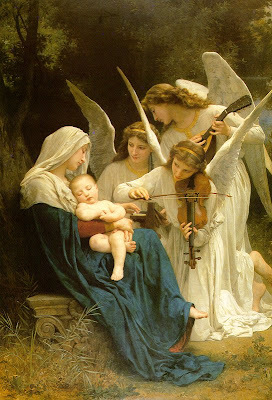 At the young age of thirteen, she “consecrated her whole life to Jesus through the Blessed Virgin Mary.” She had great natural musical talent and at age 19 she began to study music at a conservatory in New York. While there, she lived at a convent of the Religious of Jesus and Mary where she would spend many light nights in Eucharistic Adoration. She made a habit of praying before her musical exercises. Also like St. Faustina and St. Therese, when she asked to enter the convent she was told to wait. She was disappointed, yet in hindsight she saw God at work in this delay. She felt it was God’s will that she remain in the world and with her parents for a while longer. She had already begun to be granted the blessings of mystical experiences. At age 24, she was granted her great wish to enter the Religious of Jesus and Mary. She took the name Marie Sainte-Cecile of Rome after the patron saint of musicians. The sisters were teachers, and Blessed Dina worked as a music teacher. She loved teaching and the students entrusted to her care. Jesus spoke to her more and more. She learned to recognize the authenticity of His voice: “His voice is soft, so soft that in the soul all must be hushed; it is a melodious voice, while that of the devil is noisy, abrupt and discordant, and his words are uttered in the midst of agitation and tumult.” Jesus told her that through her writings she would do much good. She thought He was referring to her poetry, but it was actually her autobiography that she writing under obedience to her Mother Superior that would be this force of good in the world. Blessed Dina was considerably more educated than St. Faustina. Her writings appeal to intellectuals. Her words may speak to those who, for whatever reason, may not be touched by St. Faustina’s writings. Blessed Dina’s words both complement and enhance those of St. Faustina. While her role in promulgating the message of Divine Mercy has not been as large as St. Faustina’s, Jesus gave her a role in this for a reason. She was beatified on March 20, 1993. 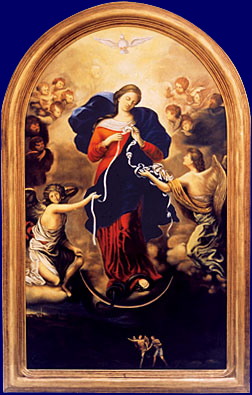 Her feast day is September 4th. Thank you, Dr. Stackpole, for bringing her to our attention. Could video games actually be good for kids? I let my kids play video games. There, I have said it. The parenting police can come and get me now. Of course, my children are not allowed an unlimited amount of time - they have their daily media allotment (they get to pick whether they spend it on the computer or watching TV). They do enjoy video games, however, and I don't mean the ones that come wrapped up in educational goals. No matter how I much I might want them to enjoy practicing their spelling or math facts on the computer via some nicely designed educational game, my boys were not fooled. That held absolutely no appeal. Lego Star Wars, Webkinz world, or even Farmtown on Facebook are much more likely to capture and hold their interest. The thing is, learning can come in lots of ways. They know an awful lot about how to work a computer, a skill which will no doubt serve them well. Could they learn this when they were older? Absolutely. But, having the skill certainly won't hurt. The video games they play require a great deal of problem solving - problems I admit I can't solve. I am horrible at video games. I can't figure out how to play them, much less win at them. They, however, manage to achieve quite a level of success at this, which leads to a sense of accomplishment. That's a pretty good lesson in itself - setting goals that matter to them and achieving them. Persistence is a good thing to have. Sometimes, there is even a more traditional educational lesson thrown in - for example, on Farmtown, they need to figure out which crop will provide the greatest return for their investment and work. Reading the most recent edition of The Catholic Observer, I was happy to read the article "OMG! Researchers discover that texting improves classroom performance" by Erick Rommel of the Catholic News Service. While the main focus of the article was on texting, he mentioned that "Research presented at the 2008 convention of the American Psychological Association supports the theory that video games increase brain potential." So, while moderation is obviously to be encouraged and content of games monitored, allowing one's children to play video games is no longer a reason for guilt. Yes, one more thing we mothers can cross off that list!